Craft & Oak has partnered with a local coffee shop based out of Redwood City, California! Bliss Coffee was started by Jimmy Huang. Bliss Coffee sources their coffee beans from all over the world, including some from Yirga Chefe in Ethiopia. They also proudly serve coffee from top artisanal roasters on a rotating schedule, including but not limited to: Four Barrel Coffee, Verve Coffee Roasters, and Chromatic Coffee Co.
We approached Bliss with the idea of bringing together the Redwood City community, as well as educating them on where their coffee that they drink on a daily basis originates from. Plus, we also feel that local businesses should support other local businesses as well. 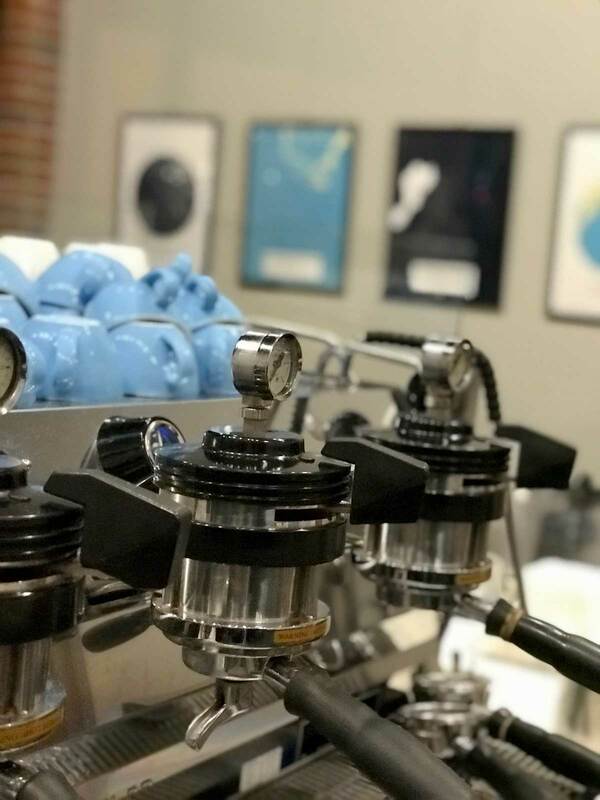 We created custom maps of both Redwood City - where the shop is located at 2400 Broadway Street, and Yirga Chefe - the remote part of Ethiopia where many excellent coffee beans are sourced from. 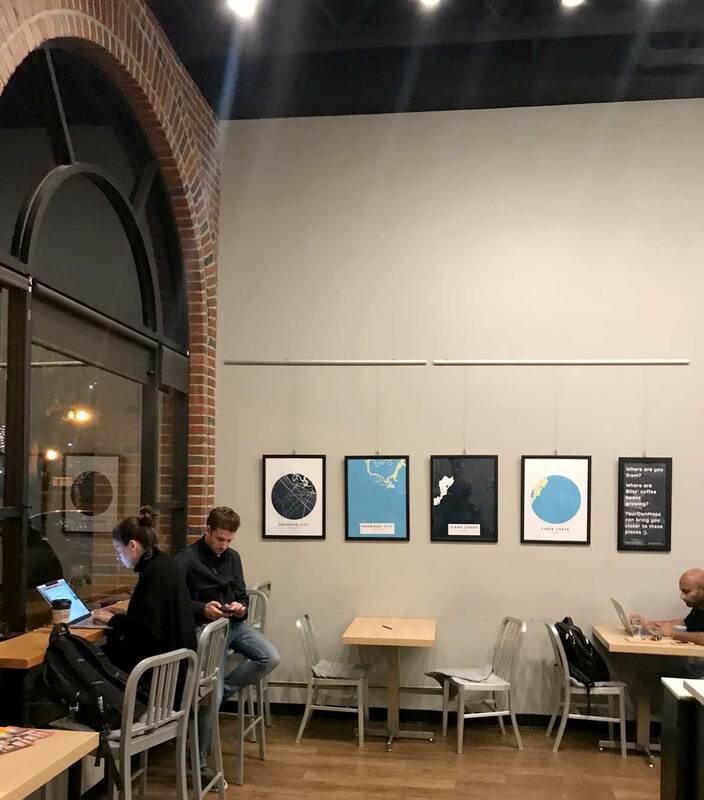 See below for the images of Bliss Coffee’s wall with custom Craft & Oak prints! We also had a brief interview with Jimmy Huang, the founder of Bliss Coffee. What is your full name Jimmy and where are your from? "Jimmy Huang, I was originally from Canton China"
When and why did you decide to start Bliss Coffee? "I decided to start Bliss Coffee about 3-4 years ago. My wife actually introduced me to specialty coffee. 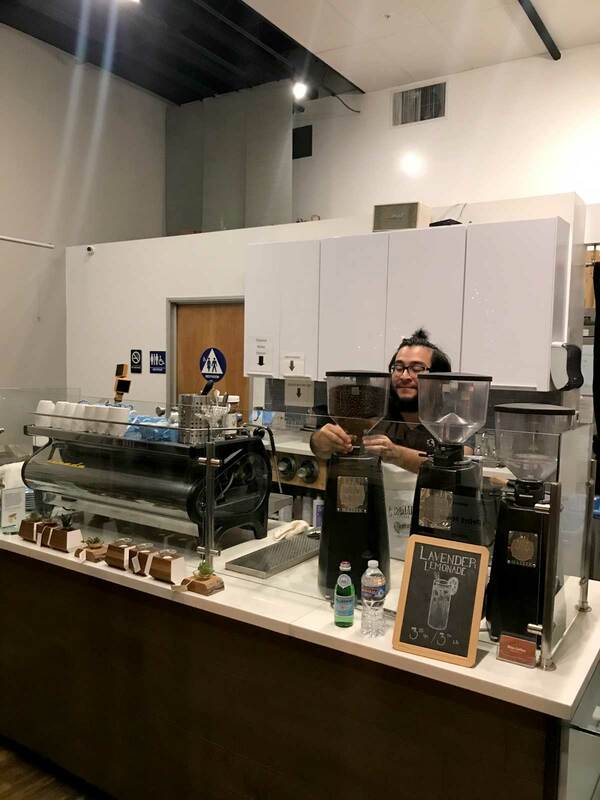 I live and work on the Peninsula so I wanted to bring more specialty coffee options to the people living and working here. People don't need to drive up to SF to get a taste of Four Barrel, or down to Santa Cruz to get Verve. 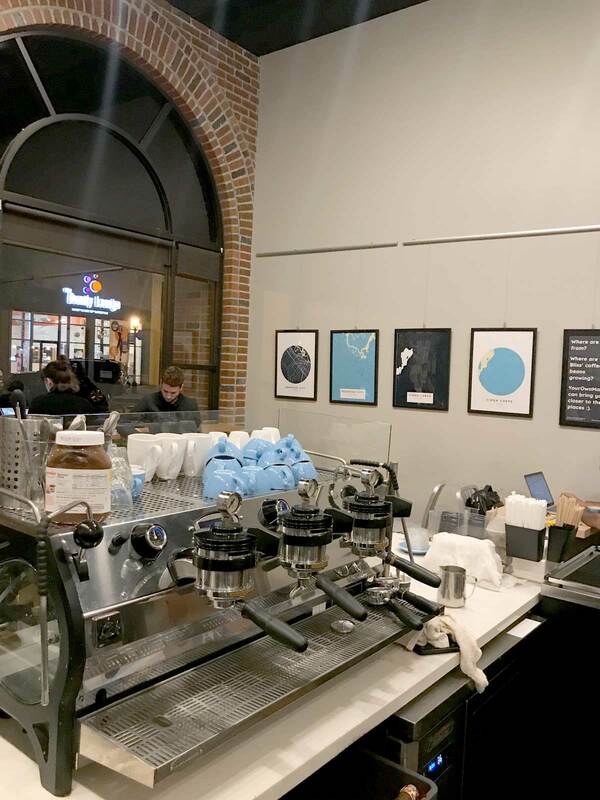 They can try all these great coffee blends here in Redwood City." Where do you envision Bliss Coffee going - would you like to start more, why or why not? 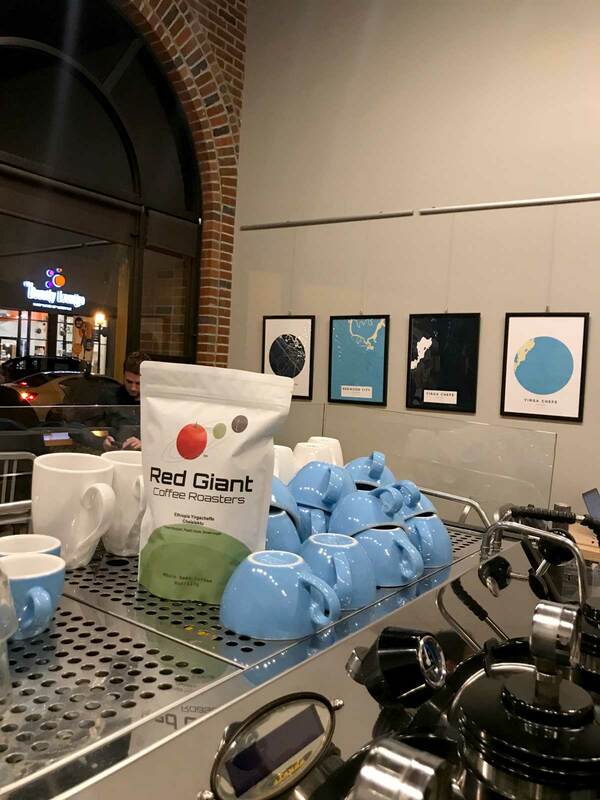 "We started to roast our own line of coffee under the brand Red Giant Coffee Roasters. Going forward, we would like to share our own brand of coffee along side with these great roasters. I don't think we will stop carrying coffee from other local roasters. We want to give our customers the options." What are some of your favorite coffees? "That depends sometimes. Sometimes I prefer a coffee that is very adventurous with flavor notes that are very different. Sometimes I just want a coffee that is very comforting. Some of the most memorable coffee I had include a very blueberry like Ethiopia coffee that was processed naturally, a regular cup of black coffee I got from a coffee shop that tasted almost perfect at that moment, and sometimes an old coffee that shouldn't be tasting good but somehow taste great." Any advice for someone who wants to start their own coffee shop? "A lot of people I talked to always think about opening a coffee shop as their dream, something they would do for fun or as a passion project. Having your own shop sometimes does feel like that, but also be ready to put in those long hours and tackle problems like plumbing, electrical, and lots of paperwork :)"
What do you think about YourOwnMaps? "I think your prints are quite unique. Is a different way of looking at something that has been around for hundreds of years. Kind of similar to how the specialty coffee industry is changing coffee. I guess that is Silicon Valley, the Valley takes something that has been around for a while and makes it better with new thinking and technology."